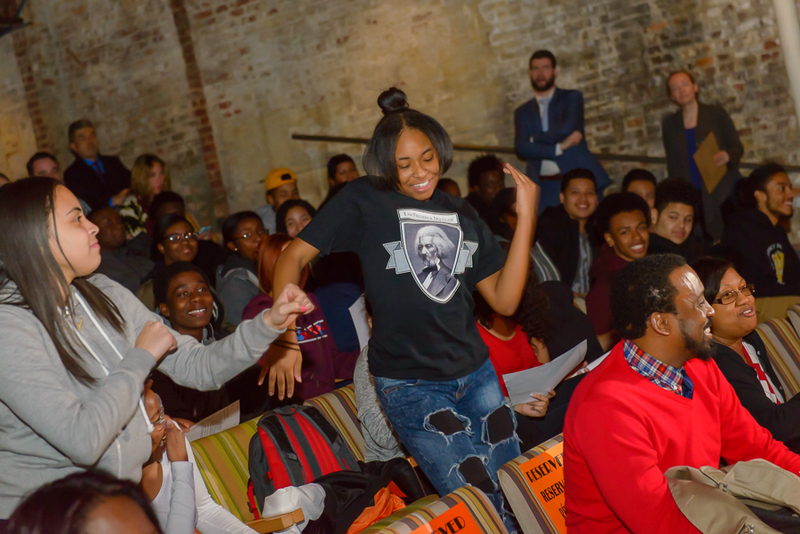 On Thursday, March 30th, Frederick Douglass Academy III Scholars reclaimed narrative at their Culminating Event! 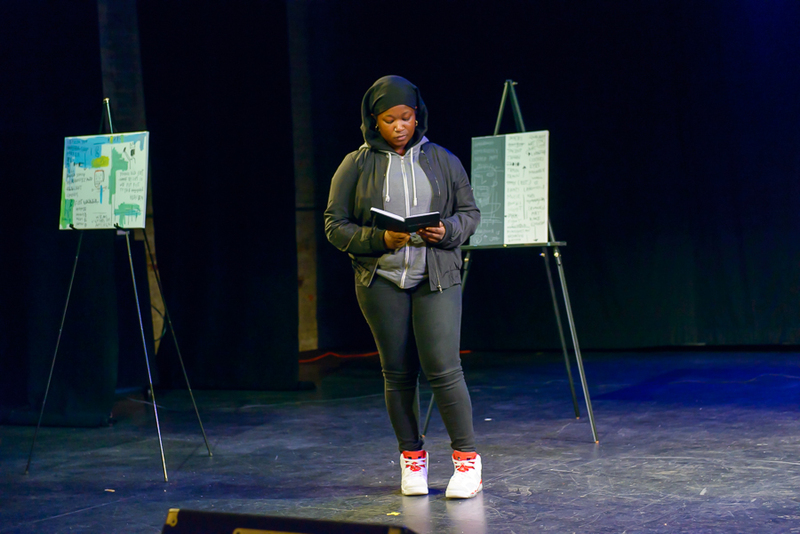 The house was full of tears and cheers as scholars shared their brutal truths with a sold-out house at the Pregones Theater in the Bronx. 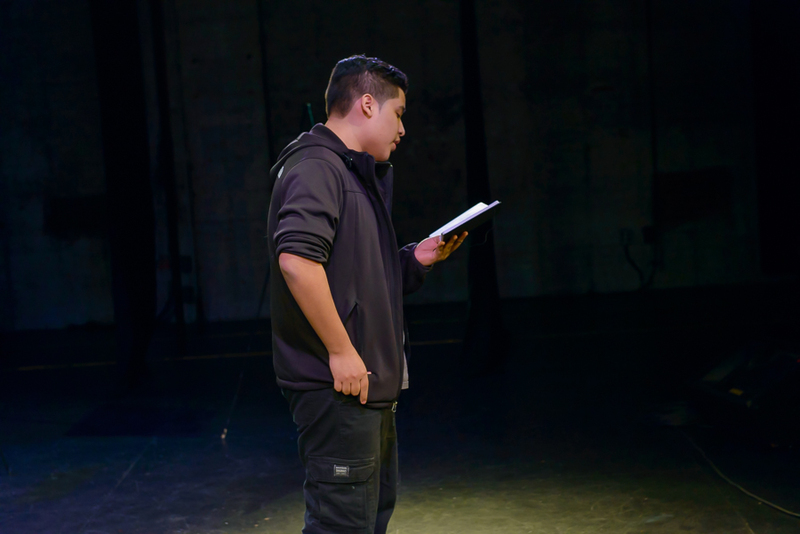 For many of our scholars, this was the first time they’ve ever performed before an audience. Their words were met with overwhelming support by peers, loved ones, and FDA III staff and administration. 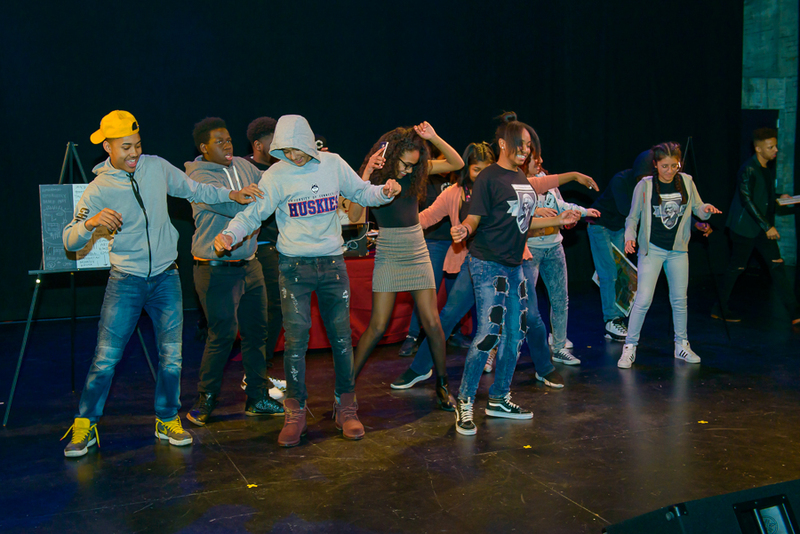 In the words of Community School Director, Altagracia Montilla, “this is what radical education looks like.” We’re committed to creating spaces where young people can express themselves creatively and freely, without limits. For weeks, scholars read and discussed contemporary and historic poems by poets who challenged and affirmed the narratives surrounding their lives. 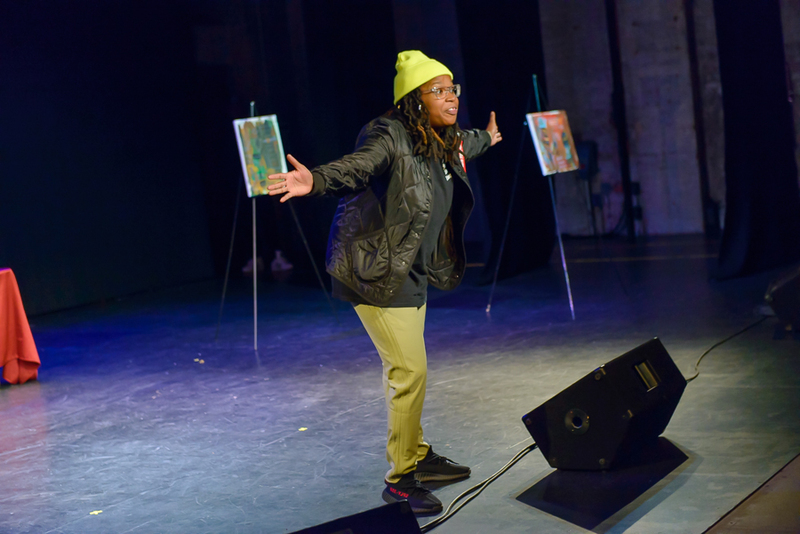 They critically examined social justice issues to consider the role poets and poetry play in transforming community, and on this evening, we celebrated their voices–the voices of Bronx youth–may their stories echo for generations to come! Special guest poet Roya Marsh wows the audience with her dopeness! DJ FLY TY is undoubtedly the livest DJ in New York City. He’s got scholars on their feet! All photos courtesy of Terrence Forrest.